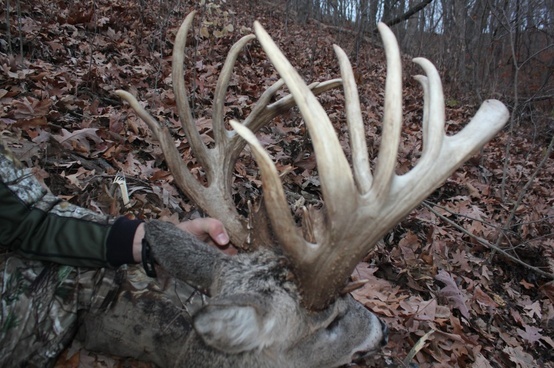 If you’re a hunter who targets big, mature, whitetails, then you know how frustrating a hunt can be and how many times, things tend to not go your way. Well today, we are here to tell you that you can’t let those things get you down. Whether it is a deer just out of range, a November warm weather front, or losing your focus, you can help save your deer hunt with these tips. Weather is the number one factor that can lead to deer movement, or non-movement. A cold front in early September can bring deer to their feet during mid-day and it goes the same way throughout the season. On the flip side, a warm weather front can halt deer movement, even in the middle of the prime rut season. Take advantage of the cold fronts, coupled with good moon times and the right wind and trust your gut on your stands. Weather trumps all, so if it’s in your favor, be sure to be out there hunting. Having a stand being place too close or too far to a food source or popular trail can lead to big time success, or big failure. Be sure to put your time in when choosing your stand placements to give yourself the optimal opportunity to shoot that big buck when he comes walking through. If you need to move a stand, it’s better to do it now than when that deer is just out of bow range, or winds you while he’s walking down the trail. If you did your scouting right, then you should have a good idea on where the deer are bedding and feeding. Use this information during the season and during the rut when you know these bucks are going to have to find food and the does that eat there. Sometimes the biggest thing that you need to have in your bow stand is a positive attitude. Hunting is a marathon (most of the time) and you need to keep your focus and the end goal in mind, which is to kill a big, mature deer. Staying positive can be the difference between an all day sit and a 4 hour sit and this can lead to a monster buck on the wall. Check out more deer hunting tips.